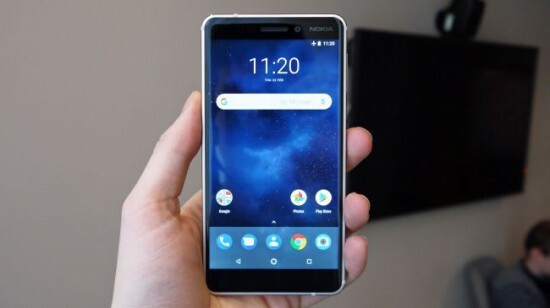 Nokia has released the new flagship Nokia 8 Sirocco with mid range Nokia 7 Plus and the new Nokia 6 with low end Nokia 1 with the nostalgic factor and it has announced the 4G version of 8110. 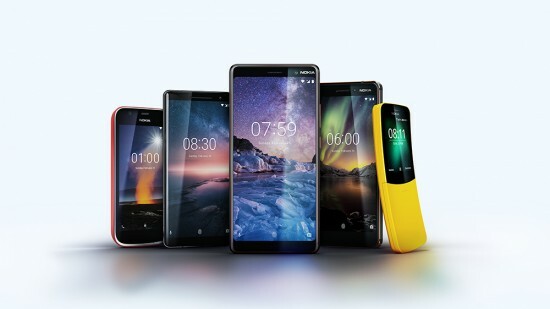 Nokia has released the new Android phones, Nokia 8 Sirocco, New Nokia 6, Nokia 1 and Nokia 7 Plus. 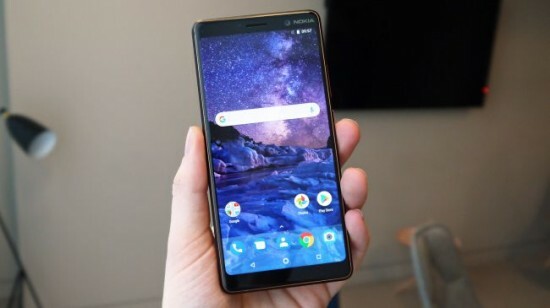 Nokia 8 Sirocco has the brand new features of ZEISS optics, enhanced Dual-Sight and the tuned acoustics with Nokia spatial audio and ultra compact power house and the most beautiful smart phone of the company. This handset has the curved glass finish with stainless steel frame to deliver durability and beauty. It is 2mm thin at edges and Nokia 8 Sirocco has the curved edge to edge pOLED 2K 5.5 inch display with bezels and molded body curves to create the profile of ultra compact. It is 2.5 times stronger than 6000 series aluminum and 3D Corning Gorilla Glass 5. This smart phone has dual rear sensors with ZEISS optics with ultra sensitive, wide angle primary camera and can give performance in low light and the secondary 13MP sensor is added with 2 optical zoom. It has Pro Camera mode to get the full manual control on every picture and help to take the photo like pro. Nokia 7 Plus is the combination of optical hardware and imaging algorithms and it can help to capture the moments which you like most. The handset has the features like dual rear sensors with ZEISS optics and it is combined with 12 MP wide angle primary camera for low light and extra bright conditions, Dual-Sight and the secondary 13 MP camera to deliver 2 x optical zoom to take the photos. It has curved back and slim edges to give big screen experience in neat and wonderful package. This handset has 6 inch 18:9 full HD+ display to make the handset, Nokia 7 Plus wonderful for the social media consumption, entertainment, gaming and browsing. The new handset, New Nokia 6 gives the powerful performance and the new features in the durable body and it is more compact. It is 60% faster than its predecessor and it has ZEISS optics, enhanced dual sight, compact screen to body ratio, USB-C fast charging, secure and up to date Android Oreo. It takes the craftsmanship of New Nokia 6 to the next level to make it unibody with 11 hour two tone anodizing and polishing process and made from solid block of 6000 series aluminum. It has 2.5D display with damage resistant Corning Gorilla Glass and body of the New Nokia 6 is built to last. 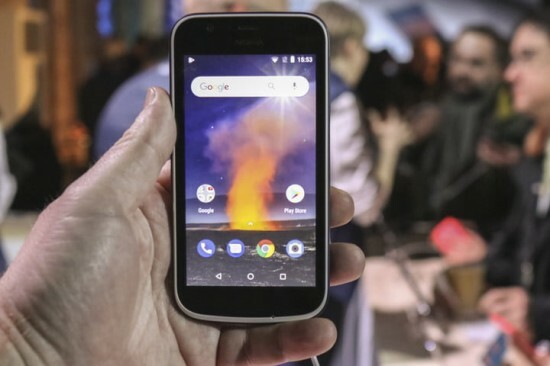 Nokia 1 is introduced in the market with Android Oreo, which is the version of Android optimized for the devices having 1 GB RAM. It is designed to be smooth and responsive to get the full access to Google Play store and you can also find the favorite apps from Instagram, WhatsApp and Facebook to mobile banking and highlights the apps that are optimized for Android Oreo. This handset is featured with Nokia Smile in fresh new package and it can give Nokia 1 the popular Xpress on covers, which is available in the range of vibrant colors. 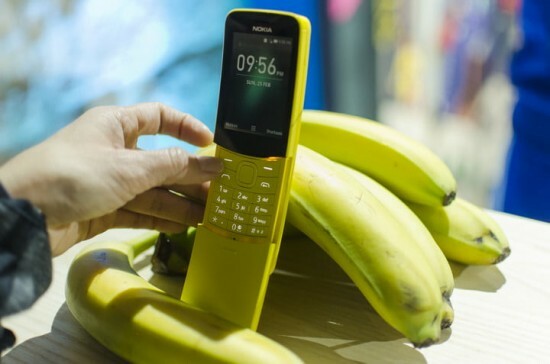 Nokia has launched the new handset, Nokia 8110 with the 4G connectivity and it is provided in the market with curved slider design. It has the features of tactile mechanics with slide to answer and end the calls and it also provides the addictive helicopter style spin on the axis. Nokia 8110 delivers VoLTE calling and it can have the access to app store for the favorites including Google Maps, Google Assistant, Facebook, Google search and twitter and it can help to send and receive the emails or import the contacts and also sync the calendar with the Outlook and Gmail.